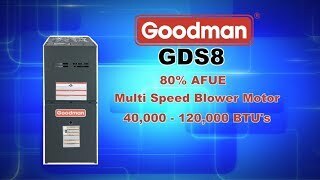 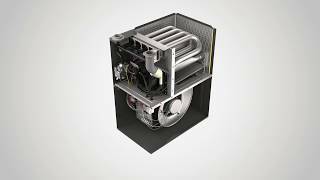 The Goodman® GDH8 80% AFUE Two-Stage (Convertible), Multi-Speed, Dedicated Downflow (blows air into ducts located below the furnace) Gas Furnace features a patented aluminized-steel tubular heat exchanger and durable Silicon Nitride Hot Surface Ignition system. 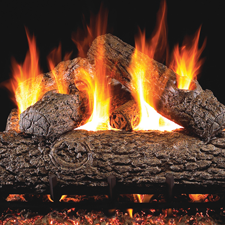 This furnace is run-tested for heating or combination heating/cooling applications. 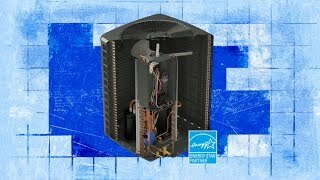 With a heavy-gauge, reinforced, insulated steel cabinet and durable baked enamel finish, this gas heater can be installed in a variety of locations.